Shaesta Waiz recently completed a world-record setting flight to inspire young women to pursue careers in STEM and aviation. Read that interview and more in our latest issue of Leading Edge magazine. Follow our celebration and read our stories featuring the history of aviation. Built on Honor. Backed with Confidence. Hartzell Propeller’s Top Prop Program now offers the longest propeller warranty available in general aviation. Introducing the new structural composite 5-blade STC for Pilatus PC-12. The new Hartzell 5-blade carbon fiber propeller for the Piper M500 Meridian delivers stunning looks and amazing performance. 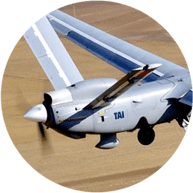 A propeller conversion is one of the smartest investments you can make for your aircraft. Hartzell Propeller Top Prop STC Conversions allow you to upgrade to our innovative new designs featuring scimitar blades, blended airfoils, and rugged structural composite materials. 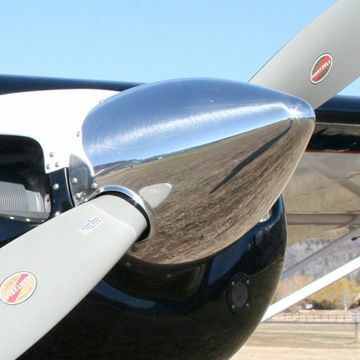 The Hartzell Service Center is focused on only one product line, so whether it’s a 2-blade metal propeller or a 6-blade composite system, our understanding of Hartzell airplane propellers is unparalleled. If you demand the best for your aircraft, don’t settle for anything less. Hartzell Propeller is proud to be at the forefront of news in the aviation industry worldwide. Hartzell has been the leader in aircraft propeller systems for nearly a century. We have over 400 different blade designs available which can be configured in hubs with 2- through 6-blades to provide optimal performance for the aircraft designer modifier. 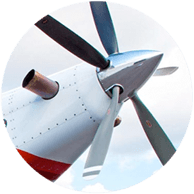 To find a propeller specific to your aircraft, use our Application Guide or contact us. Hartzell Propeller places a great emphasis on innovation and engineering in order to create aircraft propeller products that deliver maximum performance for everything from light aircraft up to regional airliners. Contact us. The best way to display the Hartzell difference is to let you see it for yourself. 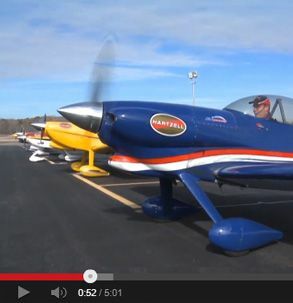 This page contains a growing collection of Hartzell videos made for and about Hartzell Propeller. 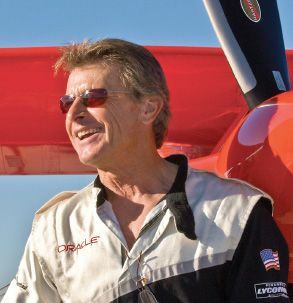 From Red Bull Air Race pilot, Michael Goulian to world-class aerobatic pilot Sean D. Tucker, Team AeroDynamix, and the Jack’s Links Sasquatch. The best in the world fly Hartzell. Hartzell history traces back to the Wright Brothers. 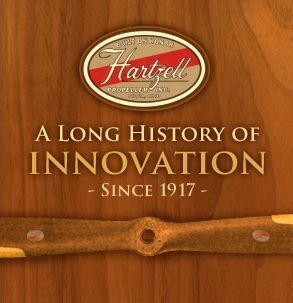 From the earliest days of flight to our latest aviation advancements, take a 150 year journey through Hartzell history. "Muncie Aviation Company strives to set the highest standards in the maintenance industry by providing the best service possible with the least down time for our customers. That’s why Muncie Aviation Company trusts the Hartzell Propeller Service Center for all of our propeller needs. 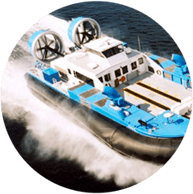 Their customer service, quality of work, and quick turn times sets the highest standards in propeller services." "Stevens Aviation uses the Hartzell Propeller Service Center for our propeller overhauls because of the turn time, price, experience and the ease of doing business. Quality is still your best buy." 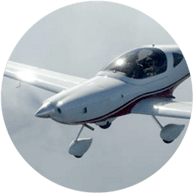 Service Manager, Stevens Aviation Inc.
"Jet Air has been using the Hartzell Propeller Service Center for over 5 years and to date we have not had a warranty or workmanship issue. Keeping the propellers turning is what the customer expects along with the feeling of safety and trust. 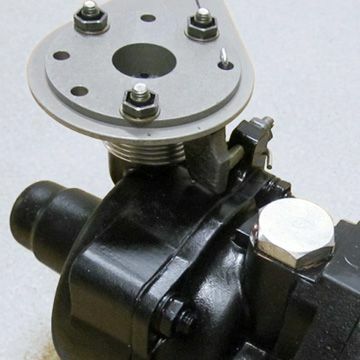 The overhaul turn time is continuing to be reduced without jeopardizing the quality of the product. The personnel in Piqua, Ohio go above and beyond to get propellers back into our hands so we get our customers back flying. With any component that we install on our customer’s aircraft, the quality of the product must be to the highest standard. “Failure is not an option.” Hartzell Propeller Service Center gives us that quality. 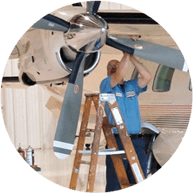 When the propeller overhauls are due, we recommend the Hartzell Propeller Service Center to our customers." "The Hartzell 3-bladed scimitar prop has really enhanced the GA8 Airvans, in our experience providing smooth and improved climb performance with a significantly improved noise footprint. Most recently, we have appreciated the prompt and effective support of Hartzell when an unexpected hitch on prop overhaul had our C208B grounded at a peak time. Rapid delivery of a new replacement propeller was exemplary and lead to our company exploring 4- and 3-blade Hartzell propeller options for reduced noise emission important in our operation." "My Hartzell propeller is simply bulletproof. 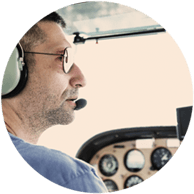 There are few aviators who rely on their prop more than me, and with a Hartzell, I have the ultimate confidence that it will never let me down. The fact is that the Hartzell Propeller gives me the ultimate in performance and reliability." 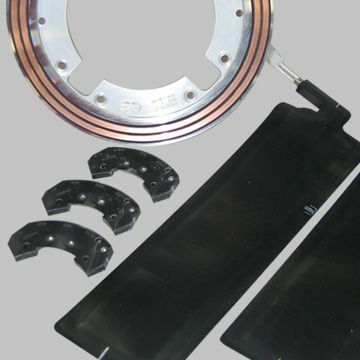 "Hartzell really understands the unique needs of aviation industry while providing consistent high quality product with exceptional performance. Thrush can always trust them to provide timely deliveries while providing the first class service to support our customers’ needs. With Hartzell as our partner, we have the confidence to continue growing our business." "Hartzell Propeller is surely part of the success story of our Very Fast Turboprop aircraft TBM700/850 program since its launch in 1990 with more than 650 aircraft produced." "No propeller we've tried has given us better performance or reliability than the Hartzell. They give us the ability to get the best our of our airplanes." "Hartzell Propeller is and has been a great supplier of the most efficient propellers for our planes. They have provided excellent customer support for our mutual customers over the years. We look forward to a continued long-term relationship with the people of Hartzell."